The 35-metre ‘Dragon Harald Fairhair’ Viking longship is on its way to Iceland and is expected to make an appearance early next month. The ship was built in Norway and is the largest Viking ship to be built in recent times. 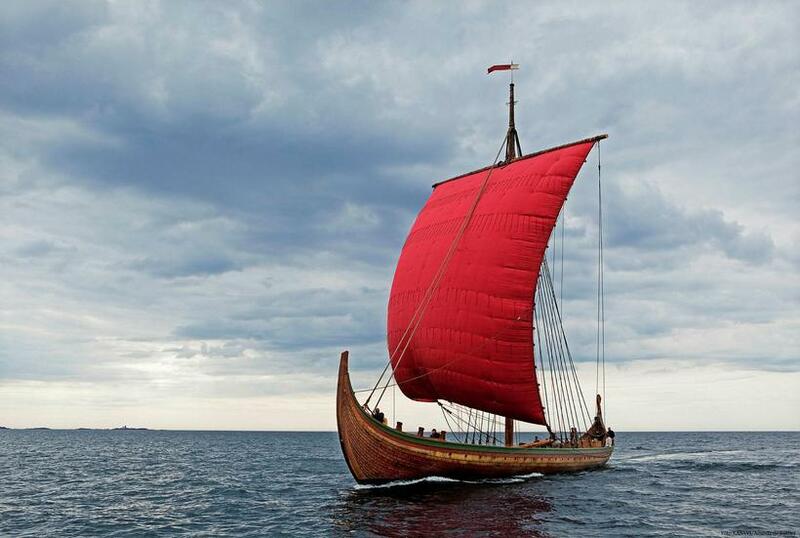 It is now embarking on a mission to relive the Viking discovery of the New World more than a thousand years ago. According to the expedition website, the stunning craft will stop in Iceland and Greenland on its way to the United States. Exact dates will depend on waves and winds, but the ‘Dragon’ is expected to get to Iceland on 2 May and will be on display in Reykjavik Harbour on 3 May. Construction began in 2010 and the ship – built to specifications of Viking ship technology as traced through available historical material – set sail for the first time in 2012. This is, however, the first time it has come to Iceland. Another spectacular replica Viking longship in on display at the Viking World Museum in Keflavík.